COLUMBIA, Mo 5/26/15 (Beat Byte) -- Over fifty years old, the Columbia Housing Authority's (CHA) recognizable red-yellow brick buildings squat near the center of town as throwbacks to a bygone era. 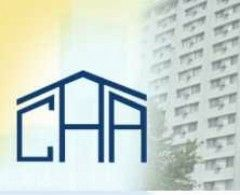 Through RAD -- aka HUD's Rental Assistance Demonstration program -- CHA aims to transform its holdings into "mixed income" rentals open to "all" income levels. Private investors and corporate managers will take ownership, with direct CHA oversight through HUD's Section 8 rental voucher program. "RAD turns public housing into something like the Section 8 program: low-rent housing that is privately managed or owned, and publicly subsidized," the American Prospect reported, in a lengthy examination of the program. "RAD is emblematic of this era’s intensified push to use privatization in the pursuit of social goals -- not because that approach is necessarily better policy, but because it is politically possible." Arguments about RAD as a policy tool are underway, examining each moving part of its complex public-private arrangement. Amidst those moving parts loopholes have opened, including a HUD regulation that allows housing authorities to reduce the number of low-income units without HUD approval. RAD-funded developers could "exploit" such loopholes, Ed Gramlich of the National Low Income Housing Coalition told the American Prospect. Tenant legal protections are also shakier under RAD, a contingency for which CHA may have been preparing when asset manager Rick Hess published a 32-page request for proposals from attorneys who specialize in tenant evictions. Because RAD moves public housing tenants onto the Section 8 roles, they no longer have automatic redress under Federal law, but instead must go to court. "I think legal advocates rightly see that the RAD notice HUD drafted did not completely replicate the protections that people already have under the public housing regulations and handbooks," Gramlich told the American Prospect. The key component of RAD, Section 8 conversion of public housing projects is drawing scrutiny in cities like Baltimore, where RAD is ongoing. Section 8 has traditionally offered no guarantees. Not every person who applies for a voucher receives it; and not every person with a voucher will find a landlord that takes Section 8 tenants. The meat of the program -- financial tools RAD opens to low-income housing providers -- also concerns experts. Previously immune to foreclosure, RAD converted units that take on debt will have some exposure to possible default, Southern Illinois University Institute for Urban Research director James Hanlon told Next City News. He does not, however, see a serious threat. More problematic is the downsizing of low-income housing generally, a trend most experts agree RAD will accelerate. Lyndon Johnson's Section 236 program gave private developers subsidized mortgages, but as the mortgages were paid, poor tenants got the boot in favor of middle and upper-income tenants, the American Prospect reported. Similar scenarios followed the Clinton Administration's HOPE VI program: thousands of low-income tenants evicted in favor of people with more money. Emphasizing RAD's need to satisfy investors, only better situated projects are likely to receive RAD dollars, Hanlon told Next City. Columbia's projects have a major investor advantage: location, location, location. Close to a bustling (at least, for now) downtown, RAD-converted projects should rent quickly and -- for planned "market-rate" units -- at high prices. Location could prove a double-edged sword, however, acting as an incentive to displace low income renters. With enough oversight, RAD may indeed prove the godsend HUD Secretary Julián Castro believes it to be. He has praised the program repeatedly as an important and innovative way to pay down HUD's $26 billion maintenance backlog while improving conditions for 1.2 million public housing residents nationwide. Housing experts see RAD's historic potential, too. Poverty and Race Research Action Council director Phil Tegeler told American Prospect it is "a break with the whole history of residential segregation and concentrated poverty." NEXT: Why more rentals? Why not homeownership?